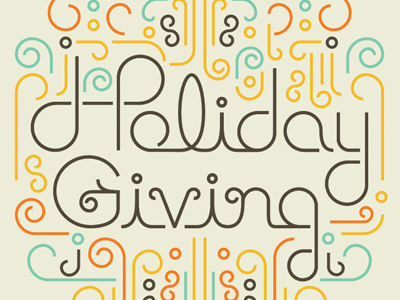 The spirit of giving is alive and well here at CallTrackingMetrics. It’s part of the team culture, and with the holidays upon us, there are plenty of opportunities to help others in our local community. As a small business, we like to partner with different charities and organizations each year and find causes that are meaningful to our employees. This year, we collaborated with some amazing organizations- and we hope that by sharing our experiences- it will encourage others to do the same. Treats for Troops – This year, the CTM team donated candy to Soldiers’ Angels “Treats for Troops” program! Soldiers’ Angels supports our nation’s veterans, wounded heroes, deployed service members and their families, and they offer several programs for corporate/individual giving. FoodLink – CTM hosted a pantry food drive this Thanksgiving to help replenish the emergency stock for FoodLink of Annapolis. FoodLink offers donated goods and services directly to families in need, often after traditional support programs turn them away. With over 16 million kids in America struggling with hunger, even small donations make a difference! Toys-for-Tots – The CTM office is an official ‘toy drop-off site’ this season- and our elves have been busy trying to make sure that the children in our community have a magical Christmas! Interested in making your headquarters a toy drop site? Find your local branch and they will deliver/pick-up the donation bin, and provide posters to put up around the building. SPCA of Anne Arundel County – We have a lot of animal-lovers here at CallTrackingMetrics who have adopted their furry family members through the SPCA. So, we’re teaming up with our local branch and donating a percentage of our Q4 revenue to support their mission! The SPCA provides shelter and humane care for homeless animals in need and they achieved a record high life-saving rate of 98%- one of the highest in the country. They accept monetary donations, pet supplies, event sponsorships and volunteer assistance! Businesses- small and large- have the ability to make a difference. Here at CTM, we get to see it everyday. There’s nothing more powerful than giving back to your community and raising awareness for causes that are important to your team. Is corporate giving part of your culture? Share your stories with us!